Self Defense Cane Tips and Advice! A self defense cane might be one of your best self defense weapons if you are advancing in age, have a disability that requires a cane for walking, or maybe you just like to have a cane to make walking easier or help ease the pain of your joints. A cane for self defense is effective for different scenarios that might arise. 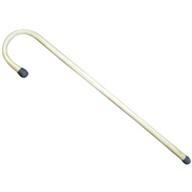 And there are different types of self defense canes available. Some are more lethal than others. A cane is often handy, which, in the case of other weapons for self defense, such as pepper spray, a knife or a gun, cannot be constantly held, and will not be readily available in case of an attack. Self defense canes have been regarded in the olden times as an ideal weapon for the same purpose, and many people in the past already carried them simply for self defense. People of all ages carry either a walking stick or a cane for additional support while they are walking. 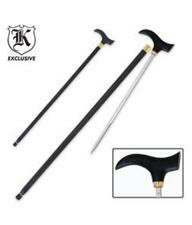 While a cane or walking stick looks like just any ordinary cane, it can be made to use as a weapon against any attacker that they may encounter. If you are trained in the use of a self defense cane and use self protection techniques in conjunction with it, you may save yourself or someone else from a terrible situation; an attack, mugging, robbery, or worse. Anyone could easily learn to use a self defense cane in a short amount of time. 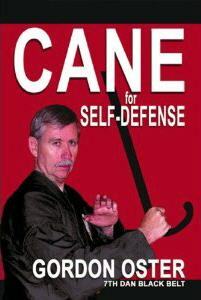 There are several courses available in the United States and overseas where they teach self-protection using a self defense cane. If you cannot attend a course you can get trained with these skills by making use of tutorials. There are several tutorial lessons online or in DVD form that can teach you the various techniques on how to use a cane for self defense. After learning the self defense techniques from an academy, DVD, or from an online tutorial, you will be better prepared to face any kind of dangerous situation or attack. When you are under attack, the skills acquired must be put into use. One simple self defense technique using a cane is to take the person who is attacking you by surprise. Start by learning how to use your cane as a weapon and make use of your new skills. A self defense cane is not going to save you, but it sure is helpful and every advantage you can use is a good thing. It's very possible that you could be instantly overwhelmed. In that case other self defense techniques need to be implemented. See our articles and tips for ways of handling different situations. Learning how to use a cane for self defense is fun and can be good exercise. For example, the cane is swung and used to strike any attacker but it is not as simple as this. The person holding the cane may lose his or her balance and if the cane is not properly gripped it may fly out of your hands. The cane should be firmly gripped through its length instead of holding just the handle. This is because the handle is usually made of a smooth material that is prone to slippage which makes it slip easily away from your hands. This kind of situation may leave the owner immobile and undefended. In addition to this the cane can easily be flipped and hit you instead. It takes a little practice and know how in order to use the cane properly for this purpose. In order to master the use of your self defense cane effectively you should be well versed and comfortable with the size of your cane, how heavy it is, and how far it reaches. More lethal self defense canes are sword canes as seen on the right. You can get canes such as this with different sword lengths. They come as small as a knife, otherwise known as knife canes. Check your state, country, or province for sword cane use and owners laws. This will influence your decision on how it can be used in case of physical conflict. It's feel should be learned well so that shifts in weight or missed hits that will occur are already expected. Even though most cane owners seem to be very familiar with their canes after using it for many years, practicing the swings will be helpful to see how the cane feels when used in a different setting. A simple swing can easily deter an attacker from pursuing his bad intention. As with all weapons be sure you can carry a cane for self defense and what your rights are in terms of carrying the type of cane you want most i.e. a sword cane. Also, it's a good idea to train yourself to handle all kinds of attacks. A cane is not going to save you every time. Learn how to use other self defense weapons including verbal and even psychological techniques to give yourself an advantage over your adversary.